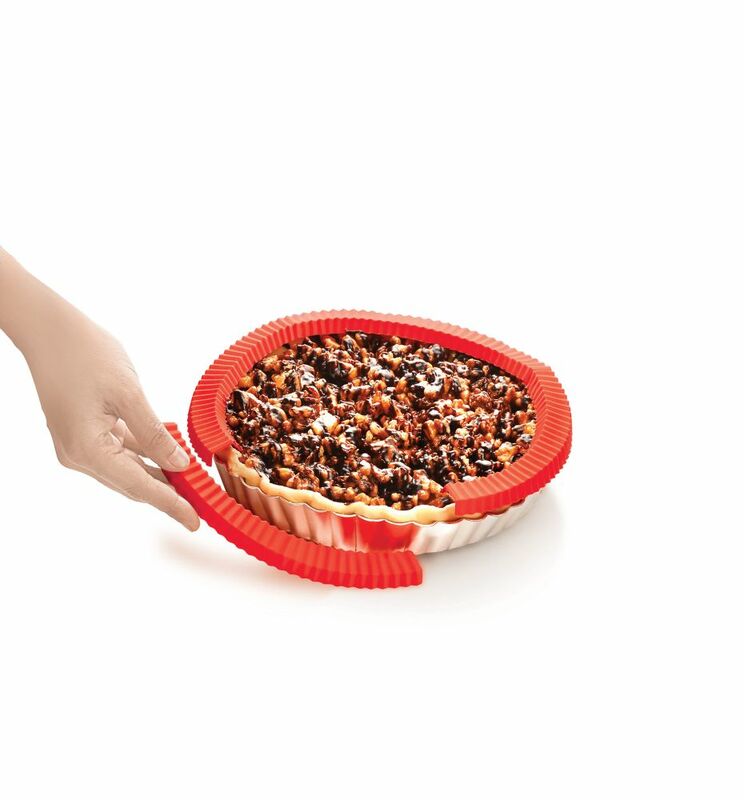 A set of five heat resistant insulator strips is useful for protecting pie crust from excessive heat and retaining adequate moisture when baking. Easy to use! Just simply place all the shields in a circular fashion and adjust to appropriate size. Pie Crust Shields Set Of 5 A set of five heat resistant insulator strips is useful for protecting pie crust from excessive heat and retaining adequate moisture when baking. Easy to use! Just simply place all the shields in a circular fashion and adjust to appropriate size.